Discussion in 'England' started by BarryfromEastenders, Jul 11, 2018. Croatia and Spain are the Nations league nonsense. What's the deal with this nations league thing anyway? New UEFA tournament, basically there to replace friendlies. Will mean that teams play against other teams that are considered on the same level. Think there are some opportunities to qualify for the European Championship through it. I'm looking forward to it, stop the meaningless friendlies, gives one more thing to win in international football. England should embrace it. The Potter and burning247 repped this. So, what do we expect going forward? I think one thing is quite obvious is we really need to address the central midfield area as the current system just won’t cut it against the top sides as we saw last night against Croatia. Maybe a system change or just personnel idk. We really need some playmakers in there who can at least control games, it just didn’t quite work with Lingard and Alli as they are not those sort of players, control and creativity is a must going forward . I think that despite the team arrived to the semifinals it has still a lot of work to do. I would change first of all the system, a 4-4-2 is more balanced and suits well this team. Some players did very well like Maguire, Trippier and Pickford, and deserve to continue their career in the national team. Other players i think aren't enough good to go forward like Lingard, Walker and Young. There are also players who were in the world cup squad who can show their qualities if they get more play time: i mean Dier, Rashford and Butland. Then i would consider to bring back some players like Wilshere and Shaw. About new entries or almost new there is for sure Cook, and eventually Winks, Maddison and Chilwell. Going to be interesting to see who can take the next step. Sancho, Sessegnon, Hudson-Odoi are touted to emerge over the next cycle, but most people seem to be centring on the midfield issues. Will RLC have a big season somewhere? Will Ox-Chamberlain get consistent game time in Liverpool's newly strengthened midfield? Will Chalobah walk into the XI , deeper, come the Autumn? I think the Croatia game at Wembley will actually be on November 18th. Updated it with the offical sites version. The other one I chose must have been wrong. A midfield of Grealish, Hughes, and Chamberlain would be great. Don't think Mount is ready quite yet. Chamberlain. You just wonder dont you, what would he have looked like raising his game and playing up a level as all the other boys did. Think he was a potential miss for us tbh. And has lallanas time passed? I've said it before, in my view Sterling and Dele compete for the same position. Lingard obviously have performed well and claimed his part, same with Chamberlain who looked very good getting his shot due to injuries before he succumb to injuries himself. 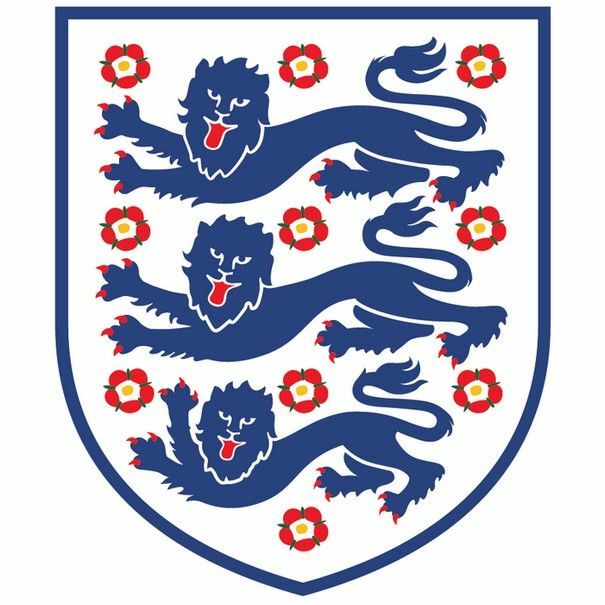 What Southgate have managed to do the best with this team though is to create a united squad with good moral, who believe in themselves and feel comfortable in the England set up. He'll want to keep that going - so don't expect to see Wilshere and Shelvey called up, they aren't good ones. I think there won't be too many changes early on, due to few games and gatherings continuity is important. I'd keep the team that have played this tournament, just try to find that one or two midfielder that will improve it - more about the type of player than quality. Not sure it will be Harry Winks, as he haven't looked the same after injury, hope to see an improvement obviously. Maybe it's Lewis Cook or Grealish. As for the up and coming young players If he starts the season well I think Sessegnon will get the call first and will make his debut sooner rather than later. Yes, he has every opportunity to do so if Southgate keep playing wing backs. With Rose far from his best, and let's face it a make shift Ashley Young. There's clearly an opening if he kicks off from the start of his Premier League career. I'm not sure the Ox is all that different from Lingard and Alli in terms of the type of midfielder he is. Quite a direct player, more of a runner than a passer... He's not going to help us to get the ball under control. Do think Lallana might be fully converted to a CM though, now that he's in his 30s. That would be very handy for us. Klopp using Lallana in central midfield seems unlikely with how Liverpool have strengthened in that area. I'm not so sure. They've got Milner, Keïta, Fabinho, Henderson, Wijnaldum, and the Ox. If they keep the three-man midfield then Fabinho is a threat to the DM position and/or a right-back. Henderson can't do what Lallana can as an 8, and if he's competing for the DM position himself then he's a non-issue. That leaves Keïta, the Ox, Lallana, Wijnaldum, and a 32-year-old Milner competing for two spots, and I think Lallana would get plenty of starts among that group. Not every game, but enough. Luke Shaw looks like he has lost a lot of weight, hopefully it is a new dawn for him because he only turned 23 the other day. I think the squad will be quite similar until next year. The likes of Cahill will drop out and players like Tarkowski, Gomez and Mawson etc will cover that gap. Young will be replaced by Bertrand. For now Lewis Cook and Winks are most likely to be picked as CM reinforcements. The main interesting factor will probably be what will happen if players that offer width show their worth at club level. I hope Southgate isn't rigid and sticks with this system regardless. Posted an Instagram photo and he looks very different. Hopefully he can overtake Young at LB and then get back into the England fold. The only major problem I have without Southgate - and it is major - is his lack of appreciation for midfield personnel. His next squad will tell us a lot about whether he's learned his lessons or not. Shaw and Rose as Left wing backs with Sessegnon soon to be breathing down there necks can only be a good thing.